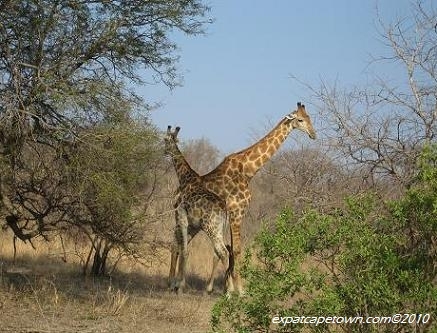 Our Cape Town Safari Tips will give you plenty of useful tips and advice when planning to go on safari in South Africa. 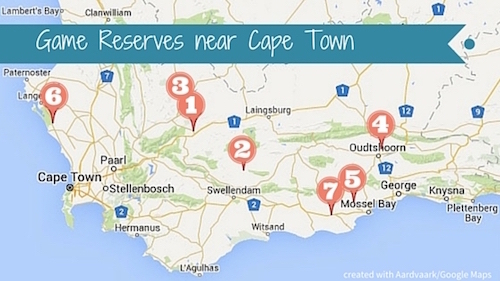 Here you will also find great places to enjoy game drives near Cape Town. In South Africa you can explore the magnificent wildlife and join game viewing opportunities many nature reserves and game parks. 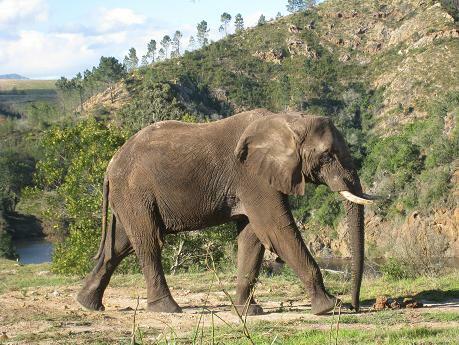 In South Africa's national parks, you can either take a self-drive tours with maps provided to you at the entrance gate or you can take a guided tour with one of the local tour companies who know where and when its best to spot the animals in the wild. For safari newbies, I would advice to either book a game viewing tour with an experienced ranger in one of the national parks or to arrange a visit to a private game reserve such as Aquila or Inverdoorn which both are close enough to Cape Town for a weekend trip. Going on safari - visiting game reserves and viewing the South African wildlife in national parks further afield such as Kruegerpark, Marakele National Park or Madikwe National Park - is certainly one of the most popular holiday and outdoor activities, when living in South Africa. Long weekends are used for enjoying the outdoors and game drives in private game reserves near Cape Town are sought after especially during peak holiday times. So be prepared and book as early as possible to avoid disappointment! If you want to explore the South African national parks the Wildcard will come very handy when visiting South African National Parks and Reserves (SANParks)during your stay. With a Wildcard, which is the loyalty program of the SANparks, you will gain free entry for many game reserves nationwide. With a residency permit you get a reduced rate, while international visitors have to pay the highest rates, but the card is of real good value if you use it for six visits already. Around Cape Town you can get free entry at Boulders - which is THE "Penguin Beach" which is located South of the city in Simons Town - and at the Cape of Good Hope as well as in the West Coast National Park. Also good for Table Mountain National Park, although outdoor adventures in these national parks will may not be real safaris by seasoned safari travellers;) More info about the card, rates and availability. This especially applies to Kruger park where the gates at the national park open as early as 5.30am in summer. As there is a limit in numbers of day visitors at the various entrances (currently only 500 day visitors are allowed per gate in Kruger Park) you will have to be queuing up at the gates at least 30mins before opening of the gate to get access for the day. We know for sure as Malelane Gate to the Southern Kruger Park already closed at 7am for the day! So ring the National Park or Game Reserve before and ask when they open their gates to day visitors. For the best game spotting and viewing game in the distance take a good pair of binoculars. Here in Cape Town you can get a variety at Cape Union Mart, Cape Storm and other Outdoor Stores. Make sure they are sturdy though, as you will not have much fun if the thing flaps after a couple of game drives or is scratched by sand easily. So invest in a good protective cover too. Buy a Field Guide Book at the entrance gates to the game park or nature reserve. National Parks always have some excellent guides and checklists for sale at the park’s gates. In good guide books there are lots of explanations about the reserve, the best view points for wildlife viewing and wildlife checklists. And to keep kids busy when there is a more quiet time around lunch time get to the waterholes or birdhides to see the wildlife, kids can colour in and tick animals they have already encountered. In good bookshops or the visitor centers of the National Parks, you will find also other kids’ guide books about birds, mammals and vegetation which also come in really handy to keep the little ones entertained. If you visit certain parts of South Africa like Kwa-Zulu Natal or the Kruger Park you should take Malaria prophylaxis as precaution especially in the rainy season which is summer in Kruger Park. Always wear light colored long sleeved tops and full length trousers at night and spray yourself with insect repellent. A very efficient one is called "Tabard" which you will get also at outdoors stores in South Africa. 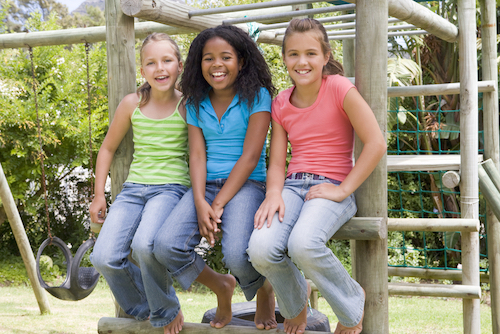 The private game reserves in the Western Cape and Eastern Cape are all malaria free. For a relaxed day of game viewing, which will start quite early and usually last until closing of the gates at around 6pm you should take a picnic basket with drinks and some goodies with you. There are some rest camps in most of the game reserves, where you can find nice restaurants and self-serve coffee shops, but as you are not allowed to get out of your car outside these safe visitor enclosures, you should be prepared to have some snacks and lots of water in your car.